This has been one fun week of learning! San Antonio hosted the ISTE conference! 20,000 people attending a conference...all talking technology! I'm still in the process of sorting, reflecting and organizing all the new information I learned! For now, I'm linking up I Teach 1:1 and Learning to the Core for this linky! I'm putting a bit of a twist on it. Once you write it, you can share it with students to read! I remember reading them as a child. If you want to ride the rapids, turn to page 15. If you want to go back the other direction turn to page 6. Decisions! Decisions! I did this with my students using Powerpoint. They started with a HUGE piece of butcher paper to plot out their story. I had them color code it so that it was easier to follow the plot. (I wish I had a pic of this.) It can get pretty confusing! Once they were ready to start their slides, I showed them how to hyperlink the slides together. My students did a great job! Here are a few slides from one of the stories. 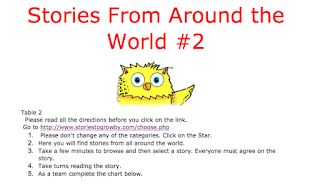 Once a story was ready to share, students used "clickers" to send in their choice. The choice with the most votes would be the direction the story would take! Today, I present to you...Inklewriter! 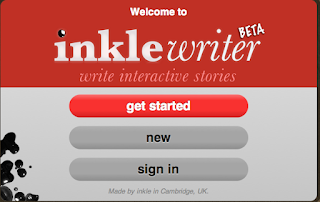 Inklewriter - Is free, web based, and did I mention FREE! This digital tool allows students to create their own interactive book-choose your own adventure! The Ed Tech Pirates used this to guide their ISTE session on The Digital Natives are Restless: Web Tools that Captivate Students. We, the participants, got to choose the path of the session by texting in our choice. So fun! Such a great idea for PD! Check out their site for tons more ideas! Also, I'll be posting more about some of the great things I learned in their session! It is very simple to follow! I would definitely have your students pre-write before getting started. For a $10 fee, it can be converted into an e-book for Kindle. Here is a fun PBS website that gives students a chance to see the format for a "Choose your Own Adventure" story. Click on the picture to take you to the site. 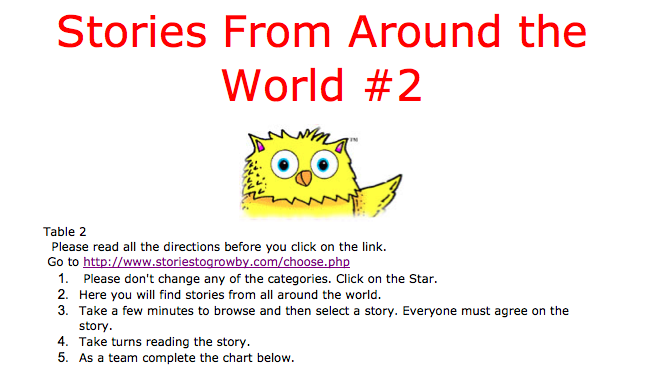 I love this site because students can read about the tales from other countries. In the past, I have created a Google doc for them to work on collaboratively. Giggle Poetry is such a great site for students to explore. There is a section where students read and rate poems. They can see how their rating compares to the majority of kids. I can't wait to check out all the great sites available. Ready to add them to my massively growing list of resources! Thank you for all of the great ideas! I can't wait to explore inklewriter and I LOVE, LOVE, LOVE your Choose Your Own Adventure lesson! Pinning to remember later!! Well what perfect timing for this linky when you were right there at the tech conference- so exciting! 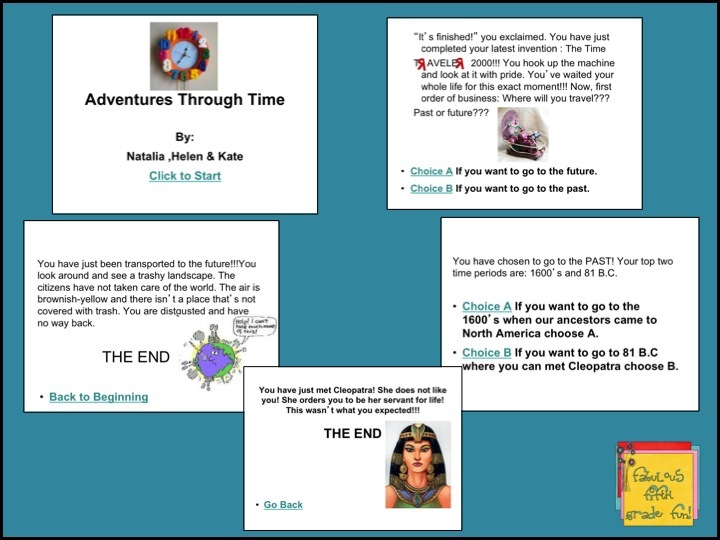 Um..I love those "choose your own adventure" stories, so I can only imagine how much fun those must have been for students to create- such a creative, fantastic idea! 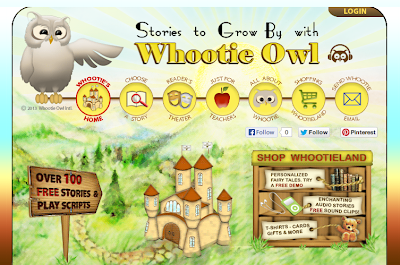 I'm thinking maybe I could create one together with my little friends for a super fun, engaging activity. 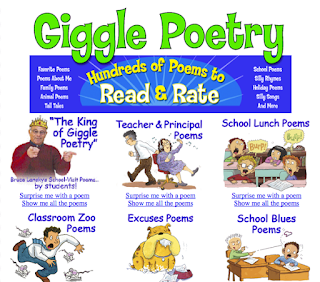 I am also very excited to check out the Giggle Poetry site because one of my goals for next year is to use more Poetry and now you've given me a way to do that with technology- how perfect!